Finding royalty free music is a headache for some of the online video, soundtrack, and newbie artist but there are a bunch of websites to download completely free and legal to use music for personal or even commercial purpose without any copyright issue. There are some reasons to use royalty free music, for an example royalty free music protects you from any copyright charges which can cost a huge amount, uniqueness and most important makes you genuine in front of the audience. Royalty free or RF means content are free to use. They are not copyrighted free, but the user doesn't have to pay for using that music for the personal or commercial purpose. All stock music (production music) are royalty free but not free, and a user can buy royalty to use it for commercial or personal use. But there are lots of websites (that I have tried to sum up here) that offer completely royalty free music which can be utilized without restriction but can not be copyright. YouTube offers some free music tracks and sound effect for adding them in videos, these music are free to use and can be added to your video after uploading them. All of YouTube’s free music and sound effects can be found here. YouTube is a great source for free background music for your tutorial, vine or any videos. 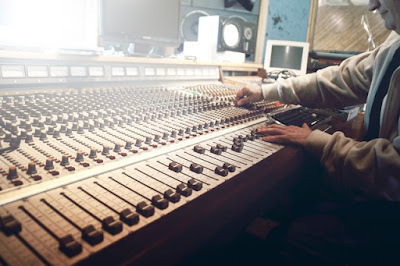 There are many music producers as well who produce music, sound effect, and you can ask them to use their soundtracks by giving them credit, and they will love to allow you. Sound Cloud is a website dedicated to music and sound effect, you can find some royalty free music and variety of audio track to use in your video as a background music. If you want to use any tracks from Soundtrack then you can find free to use records with the help of their search feature, give it a try here. Type query for your desired track and choose from a number of the track. Vimeo can be called YouTube for professional. Vimeo also features great collection of royalty free music but also you can find records to purchase according to your need. Vimeo’s music library is powered by four primary source Audiosocket, Free Music Archive, SmartSound. Friendly Music and RumbleFish. So you can say it is much bigger than YouTube’s pre-approved tracks and has more variety as well. Although Vimeo features paid tracks as well, there is enough free music to find a suitable soundtrack without spending a penny. You can check out Vimeo’s music store here. These three places are well known and have an extensive collection of a variety of royalty free music, and you will defiantly face any copyright issue while sourcing your soundtracks from there. Now let us start listing some other useful websites that provide free to use soundtracks. This one is my favorite, Publicdomain4u.com is a great place for historical recording that is available for free. When content falls in public domains that mean either right of the music, the video is forfeited or expired, and it can be used for any purpose. Public Domains 4U features lots of music since last century to modern days, and license of content is either forfeited or expired. There is some music also available for free with permission of artist as well. Freesoundtrackmusic.com is a royalty free track provider, it features lots of free stuff to download and can be used as background music in your video. This website features a small collection but can be very useful if you are online video publisher. CC Mixter is another great place for finding free music for video production and DJ mixing purpose. CC mixture primarily features soundtracks for DJ mixing, games and podcasts. They have a different section for personal and commercial project music and allows anyone to join their community to take part as a consumer or contributor. A major point to be noted that CC mixture is a community of more than forty-five thousand musicians around the world. Incompetech offers all legal use of their music collection for free. You don’t even need to give credit for music and soundtracks downloaded from incomeptech, they are completely royalty free and can be used for any platform. Jamendo caters a gigantic genre of royalty free music for YouTube, live streaming or any purpose, yes even commercial. All music and soundtracks downloaded from Jamendo can be used for business purposes too. They offer huge genre list to search. Their collection of soundtracks made them on this list. Jamendo provides very suitable soundtracks for media projects and radio stations as well. Royalty free music for commercial purpose, YouTube videos or even personal use is easy to find but using someone’s work worth a credit note to them. Use of anyone’s copyrighted material can cause you trouble and your content on YouTube, Facebook and Vimeo can be taken down because of copyright in the fragment. So it is always a good idea to go for free resources or buy royalty from sites like an audio jungle, shutter shock, etc. If you produce tutorial videos or some inspirational stuff then YouTube, SoundCloud, and Vimeo these are best places to look first, and rest are optional, if you have enough time or want a unique track to remix and recreate music for you then giving other options, a try is a good idea. Many online video creators suffer from this problem, and they are unable to find royalty free music for YouTube videos, projects, and another purpose. Let us know if you are using any other suitable places to download music for your video product.